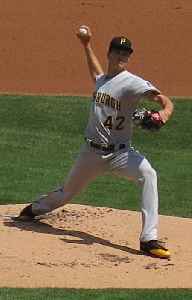 Tyler Allen Glasnow is an American professional baseball pitcher for the Tampa Bay Rays of Major League Baseball (MLB). He previously played in MLB for the Pittsburgh Pirates. Tyler Glasnow allowed two runs over seven innings in winning his fourth consecutive start to begin the season as the Tampa Bay Rays beat the Baltimore Orioles 4-2 Tuesday night for their seventh win in..